The Stuffed Beaver is an interesting spot. It’s a Canadian inspired joint that dishes up a mixture of Canadian and a Tex-Mex type menu. I’m talking fries, tacos, dogs, burgers and nachos. It’s not 100% Canadian through and through but the staff and the owner are. They do serve the classic poutine which if you’re like me and have never tried this before, is a speciality junk food originating from Quebec, a true emulsion of French Canada. It’s fries served with gravy and cheese curds and it is as it sounds, evil and glorious. The venue has your typical sports bar vibe, great for a cheap eat and groups wanting to share. Everyday they have a dam special. Wing half day Wednesday is their most popular item and I can totally see why. The carne asada with fries ($13) is godly but deadly. 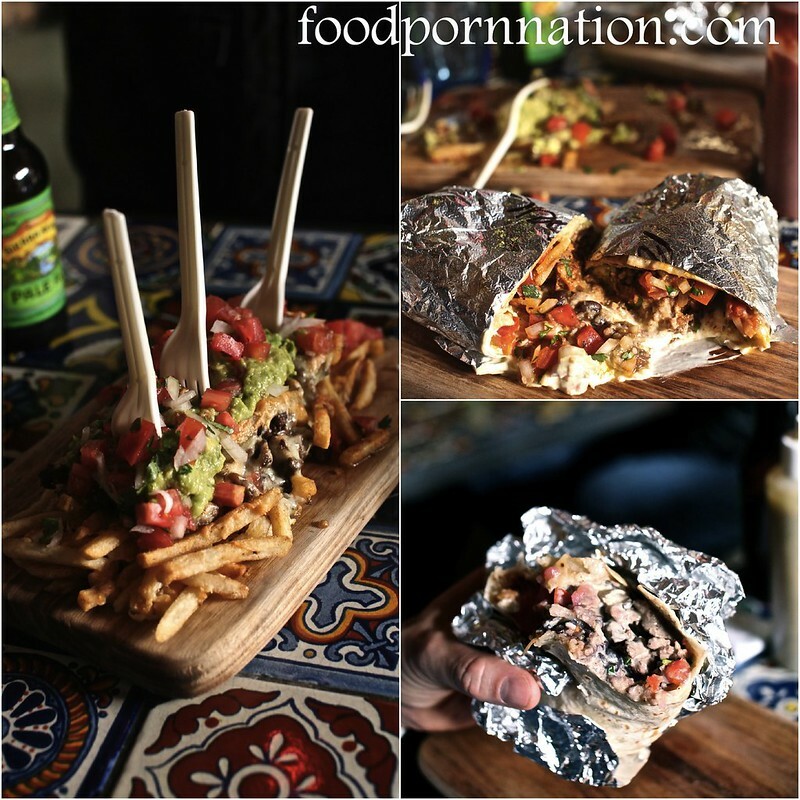 You have a stack of fries served with flame grilled steak, melted cheese, guacamole and salsa. Eating it was like a fight between foes, crash tackling for every scrummy morsel with fork in hand and your eyes on the prize. So good, we practically inhaled it, leaving not much room for anything else. What immediately strikes you about Newmarket Hotel is the impressive use of space. Its industrial urban chic contrasted with a cosy panache. The space is divided between pub-come-bar-come-restaurant. The decor blends and overlaps one another and its the unmistakable change in scenery that marks the separation. Pub/bar-goers linger around the front courtyard either in park tables or high tables tops. Venture further inside and you will find serious diners located firmly in proper tables and chairs. The blended approach also takes shape in the menu. 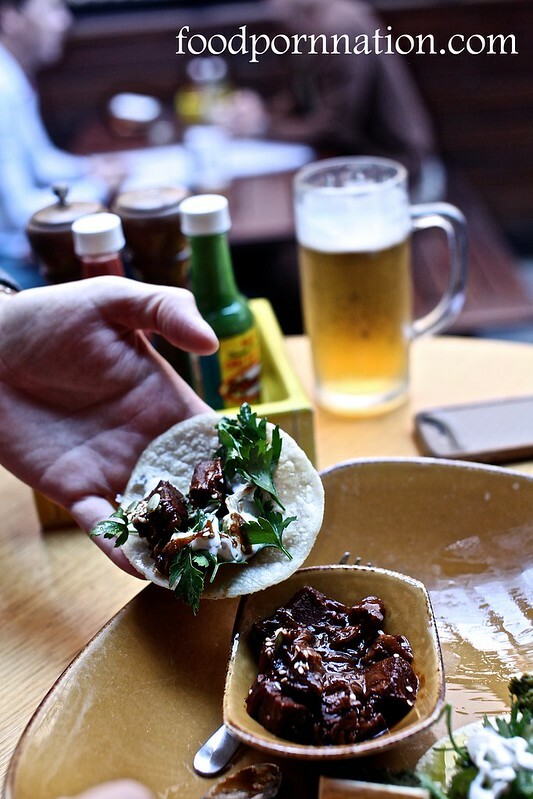 It promises a taste of latin, southern and californian influences. The menu reads so well that you wonder if you’re ever going to get out of there without ordering everything that’s on there! Uttering words like truffles, low and slow, 36 months matured and garlic chips. Everything reads deliciously that I just want to eat their words! 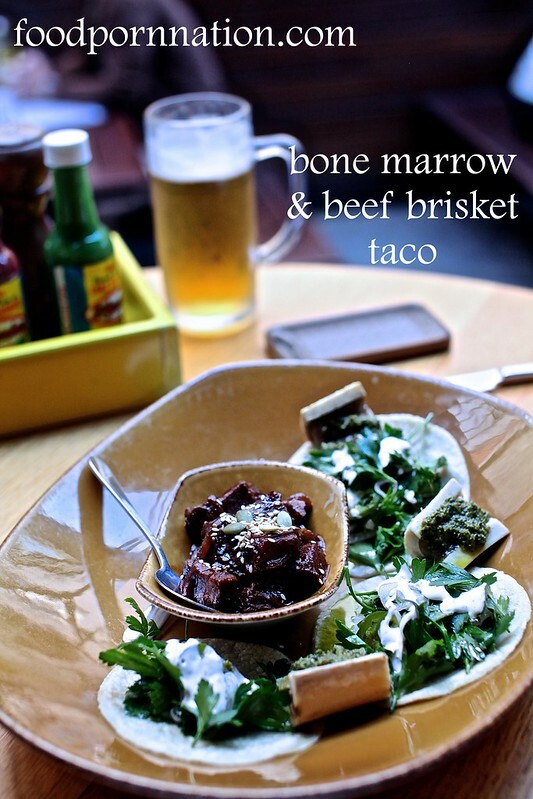 The bone marrow taco is unctuous. A gooey buttery mush with the chimichurra playing a helping hand in intensifying the flavours. I had it ‘with’ and ‘without’ the taco and preferred the marrow on its own. It didn’t require any meddling with the robust flavours of the spicy bbq brisket. It was simply gorgeous on its own. However at ($24) for three, our individual marrow piece came out on the smaller side and was no larger than an inch. 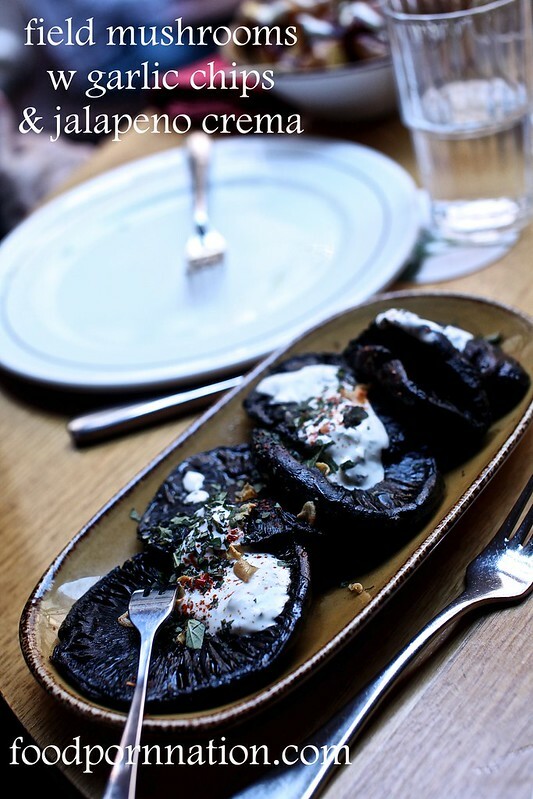 A healthy portion of the field mushrooms ($9) melded beautifully with the drizzled dollops of jalapeno crema and crunchy garlic chips. Both added texture, salty and umami notes to this earthy dish. As part of the Sydney Festival, Justin Hemmes (Merivale Group) has partnered with Sydney’s Opera House to secure the iconic hot spot to bring us this cool little pop up restaurant-come-bar. 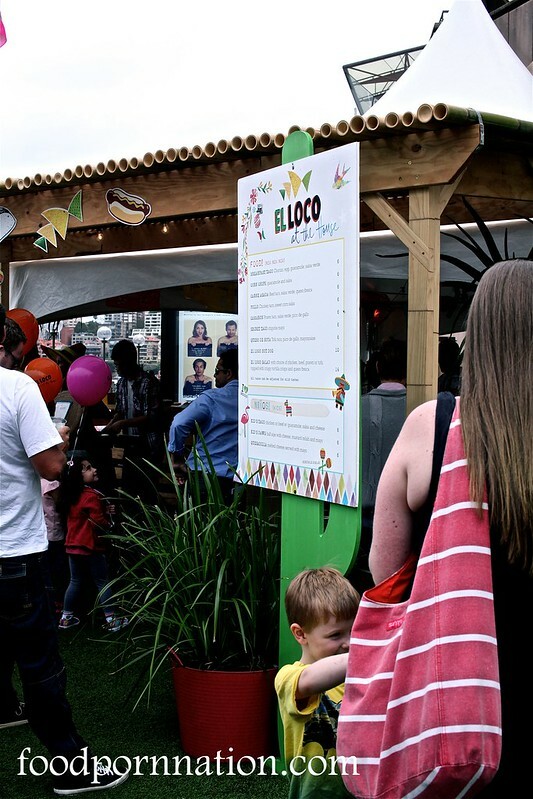 From the 4th – 28th January, Dan Hong (Mr Wong’s & Ms G’s) will be overseeing the venture where he will be dishing up a selection of the el loco menu along our beautiful Sydney shores. With a slight surcharge included… Que? The hot dog revealed a delicious grilled pork frankfurt nestled away in between a soft doughy bun. Smothered in blinding amounts of cheese, I was unable to detail the other additions. It was only with each bite that brought the discovery of the pickled jalapenos, mayo and salsa. I even felt a slab of butter! Unfortunately, the tacos were less successful. The beef tacos distinctively boasted of Asian rather than Mexican flavours which was subtle and kind of… not what I had in mind. Beef in black bean anyone? In my surprise taco, they served up kidneys which I probably wouldn’t have ordered if it wasn’t a surprise. The battle was already lost before it even begun. Kidneys were served hard and rubbery, which wasn’t very palatable. Self proclaimed as the first and only authentic Mexican to hit Sydney. You kind of owe it to yourself to make your way to Gladesville to check out those odds. 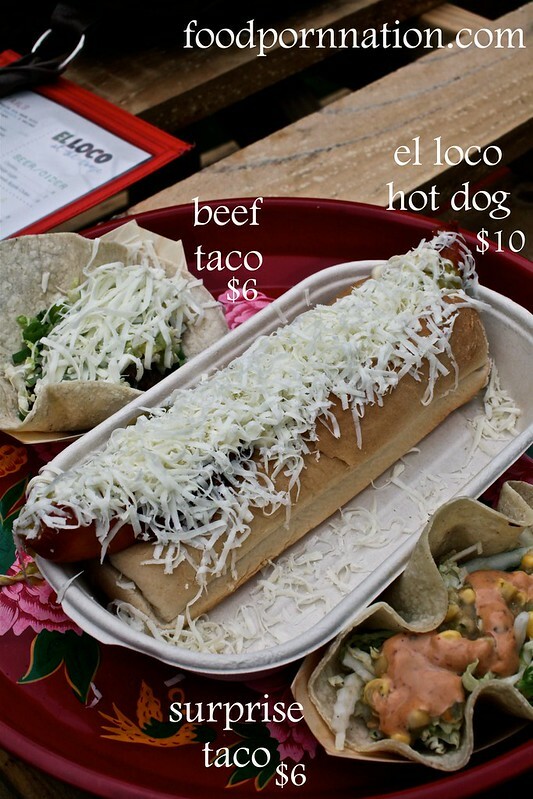 Dos Senoritas promises you street style food from the likes of Guadalajara, Mexico in bountiful proportions. Packed to rim every night, its best to book ahead. Alive with bright blue walls, sombreros, pinatas and ponchos, the place screams AYE YAI YAI! That you just can’t help but tap into your inner Me-hi-carn-no. No? 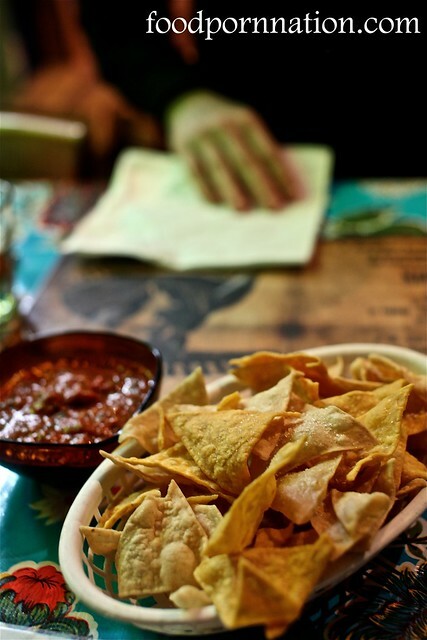 Upon arrival, we were given a stash of fresh tortilla chips to help us glaze over the menu. The chips are easily the best tortilla chips I’ve ever tasted. They’re free too and free always tastes good. They’re fresh, oily, corny and crunchy. And the salsa, is pretty damn good too with an added spice for kick. Brace yourselves for the supergooeycheesychimichanga. (All one word). This baby came at the size of my arm and is an onslaught of massive chunks of pork chile verde, jack and cheddar cheese. This was all tucked neatly inside a deep fried flour tortilla parcel. THEN covered with (yes… and there’s more) jalapeno cream cheese, which is just out of this freaking universe and a second helping of jack cheddar cheese. There is also an additional side of rice for extra carbs and a side salad to psychologically make you feel better. At least, it seemed to for me. This ‘thing’ was so massive, I hat to eat it in three sittings. Again, while watching Revenge at 2am in the morning and for the freaking finale – brunch time. Boo yeah. 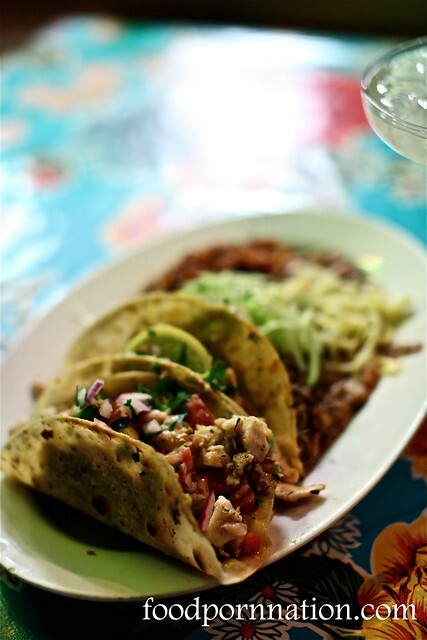 Chef Domingo Medina is committed to bringing you street style tacos from his local streets of Guadalajara, Mexico. You can choose 3 out of the 5 options for 25 beans and you’re guaranteed that anything you choose is going to be a ripper. 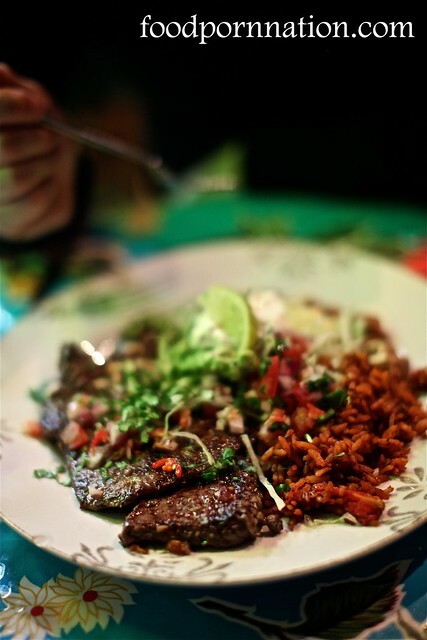 Everything is packed with fresh vibrant mexican flavours, you simply can’t go wrong. It was so fresh it kind of tasted… healthy. 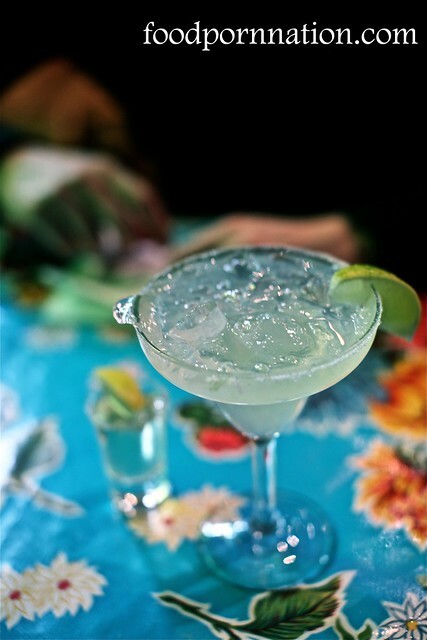 A delicious salty tequila haven to keep you going. The gringo philly steak came out nice and juicy served with a spicy cheese sauce, jack and cheddar cheese. Oh GOD! When will this food high ever end? Again, it came with the delicious side of rice and salad. Who knew that rice and salad could taste this good? 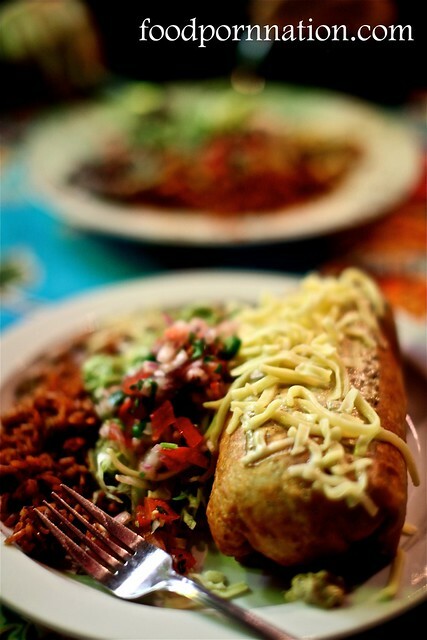 Welcome to Dos Senoritas, for the one and only bonafide Mexican food in massive proportions.